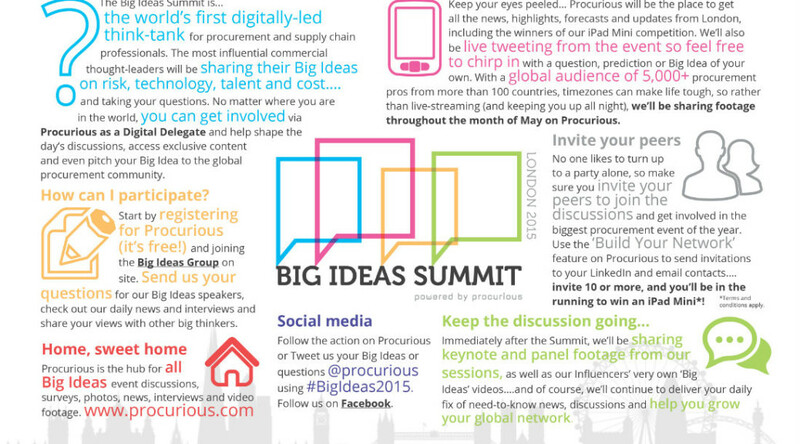 Want to sum up the Big Ideas Summit in one neat, easy-to-digest page? We’ve created this infographic especially for you. View the infographic below, or click here to see it as a full-size PDF. Know someone who would be interested? Why not share the infographic to whet their appetite? 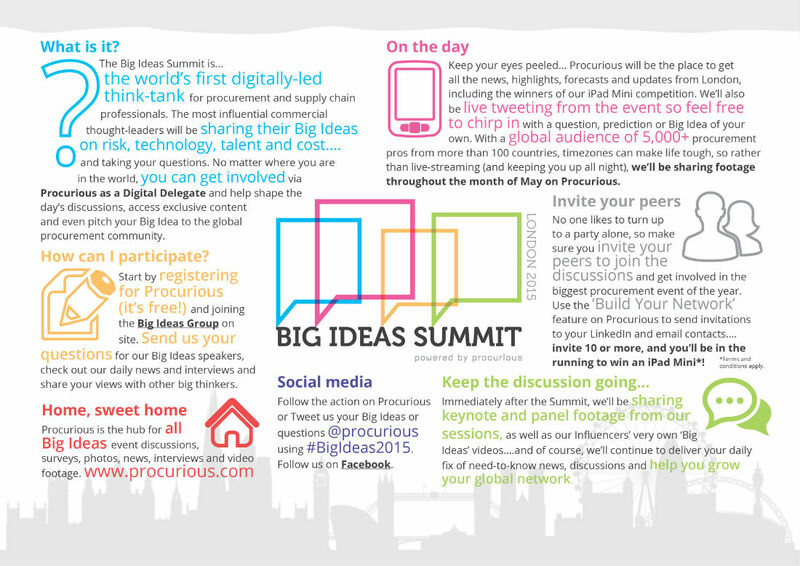 Join the Big Ideas Group page on Procurious to participate on the day, and gain access to exclusive content. Want more reasons to join? Here’s 6 of the best!